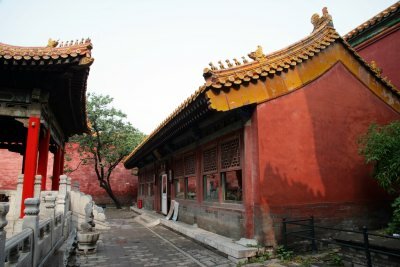 The Studio of Establishing Teachings (Weiyu Zhai) can be found in the northwestern part of the Imperial Garden (Yu huayuan). It was renamed several times and assumed the current name in Qing dynasty (1644-1911). 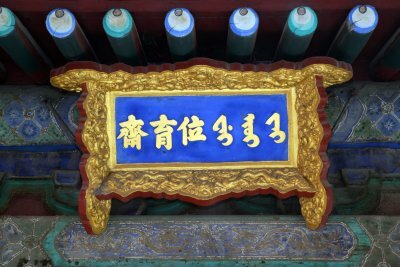 The name Weiyu is derived from a sentence in The Doctrine of Golden Mean (Zhongyong), embodying one of the political ideals of Confucius teaching. In front of the studio locates a fishpond above which an arch bridge was constructed. Over the bridge is the Pavilion of Auspicious Clarity (Chengrui ting). The studio had been used as a hall for worshiping the Buddha.